Internationally renowned professor, Saras D. Sarasvathy, has been researching and presenting on strategy, entrepreneurship, and ethics for more than 30 years. In addition to MBA and doctoral courses in entrepreneurship at the University of Virginia’s Darden School of Business, she teaches in doctoral programs in Europe, Asia, Latin America, and Africa. Sarasvathy was named one of the top 18 entrepreneurship professors by Fortune Small Business magazine. In 2013, Babson College awarded her an honorary doctorate for the impact of her work on entrepreneurship education. 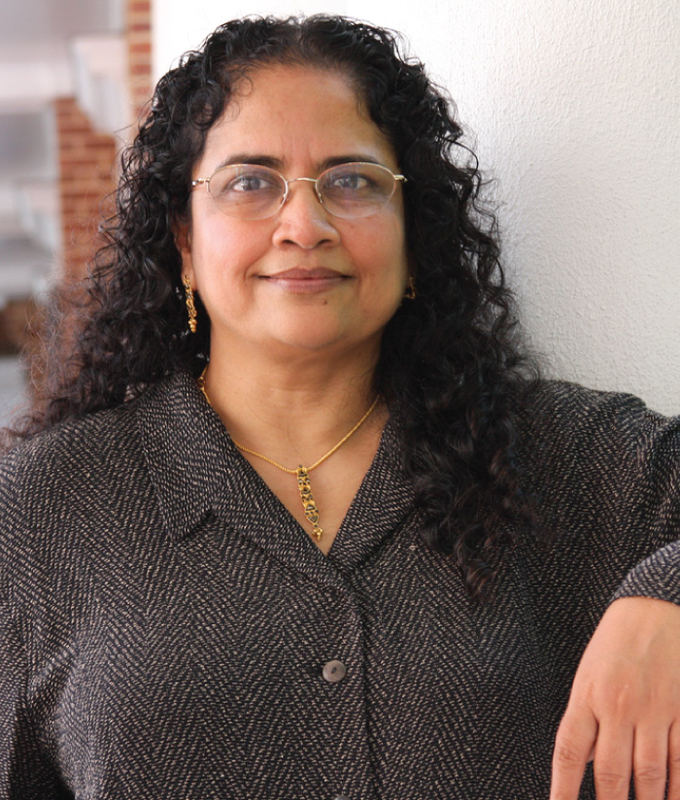 In addition to the Jamuna Raghavan Chair at the Indian Institute of Management Bangalore, Sarasvathy currently holds a chair professorship from Nankai University in Tianjin, China and a jubilee professorship from Chalmers University in Gothenburg, Sweden. In addition to teaching awards from various other universities, she won the 2015 Mead-Colley Honored Faculty Award from UVA for active engagement with students. A leading scholar on the cognitive basis for high-performance entrepreneurship, Sarasvathy serves on the editorial boards of top management journals and as Associate Editor of top entrepreneurship journals. Her scholarly work has won several awards, including the 2001 William H. Newman Award from the Academy of Management and the 2009 and 2015 Gerald E. Hills Best Paper Awards from the American Marketing Association. Her book Effectuation: Elements of Entrepreneurial Expertise was nominated for the 2009 Terry Book Award by the Academy of Management. Effectuation is widely acclaimed as a rigorous framework for understanding the creation and growth of new organizations and markets. The research program based on effectuation involves over a hundred scholars from around the world whose published and working papers can be found at www.effectuation.org. Sarasvathy has also developed several cases and other instructional materials to teach effectuation. Her co-authored textbook, Effectual Entrepreneurship won the Gold Medal in the 2012 Axiom Business Book Awards. In 2011, Inc. Magazine profiled Sarasvathy for an article entitled, “How Great Entrepreneurs Think,” which ultimately became one of their most shared articles of all time. In addition to her Ph.D. in Information Systems from Carnegie Mellon University, Saras also has a master’s degree in industrial administration. Saras received Her thesis on entrepreneurial expertise was supervised by Herbert Simon, the 1978 Nobel Laureate in Economics. Sarasvathy serves on the board of Lending Tree (Nasdaq: TREE) and writes a monthly column for the Corporate Dossier section of The Economic Times.